Yesterday, I was inspired by Casserole Week at The Kitchn to get hot-dish happy. 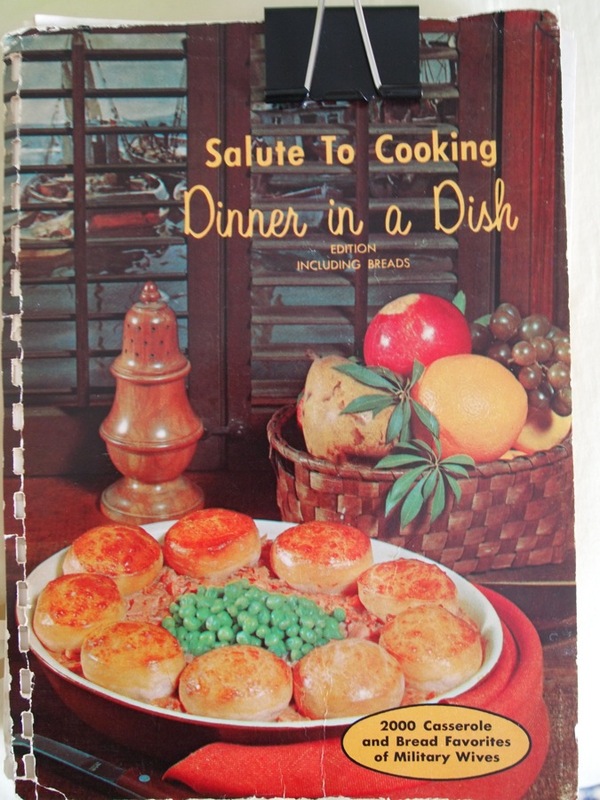 I found a “Ham and Apple Casserole” recipe in a 1966 compilation of army wives’ recipes. I rescued it from a former roommate’s trash pile; she found it when cleaning out her grandparent’s house. It used to be spiral-bound, but has been holding on by a binder clip lately. Doesn’t make the recipes any less tasty, though! This recipe, in particular, is incredibly simple, quite low-carb, and more complex than you’d think: the addition of dry mustard keeps it spicy and prevents it from sliding into the realm of breakfast food. The original recipe says that it serves six; I baked it in three individual dishes, which could each easily feed one person as a dinner or brunch main course. I guess portion sizes have changed since 1966. A lot of old cookbooks actually don’t have serving information – I’m guessing the authors expected any homemaker worth her salt to know how many pounds of beef or asparagus her husband and little ones would consume in an evening. I, personally, have been trying to scale down on portions – I can pack away a lot for a small person, and had to put a stop to half-pound-of-spaghetti nights years ago. 1. Preheat the oven to 350 degrees. Grease a shallow casserole dish (about 9″ x 9″) or several ramekins. 2. Mix the ham, onion, mustard, bread, milk, and egg together, and press evenly into the casserole dish. 3. Arrange apple slices on top, dot with butter, and sprinkly with brown sugar and pepper. 4. 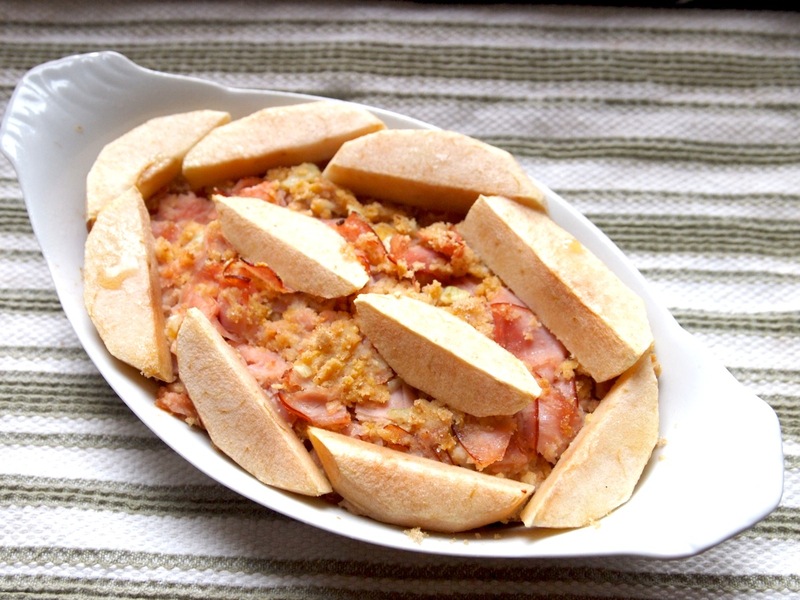 Bake for 30-40 minutes until the apples are softened and browned, and serve piping hot!